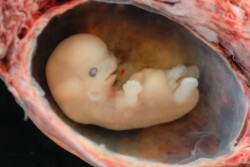 Crazed scientists all over the globe are “playing god” with the very building blocks of life. Today, thanks to extraordinary advances in the field of genetic modification, scientists are now able to do things that were once unthinkable. Part human/part animal hybrid monsters are being created by scientists all over the planet and it is all perfectly legal. Scientists justify mixing the DNA of humans and animals by claiming that it will help them “cure diseases” and “feed the world”, but the reality is that all of this genetic modification is a tremendous threat to the human race. It is only a matter of time before humans start allowing themselves to be genetically-modified in order to “fight illness” or to “enhance” their abilities. The temptation to insert the genes of animals or plants into people in order to create “super soldiers” or a “superior race” will certainly prove to be much too tempting. Unless something is done to hold all of this back, it seems almost certain that genetic hell will be unleashed on the human race. Once genetically-modified humans start breeding with normal humans there will be no putting the genie back into the bottle. Eventually, we could get to the point where there are very few “100% humans” left. Most Americans have heard about genetic modification, but most of them don’t know a whole lot about it. Today, the vast majority of the corn and the vast majority of the soy that you eat have been genetically-modified. In fact, there are thousands upon thousands of food products on store shelves today that contain genetically-modified material. But modifying plants is one thing. What is even more frightening is when scientists use genetic modification to mix humans with animals. Recently, a Daily Mail article discussed a new report in the UK that noted that over 150 “human-animal hybrid embryos” have been created in British labs. The following is a brief excerpt from that article…. So who is going to tell scientists when they have gone too far? Most countries around the globe allow scientists to do pretty much whatever they want when it comes to genetic modification. The mixing of humans and animals is even going on inside the United States. What do you think most Americans would say if you told them that creatures that are part human/part sheep are being grown inside the United States? Do you think that they would believe you? Well, it turns out that our scientists are creating all kinds of monsters that are part human. Just check out what that same MSNBC article said is currently going on…. So shouldn’t we be getting upset about all of this? But the mainstream media barely mentions the bizarre human/animal hybrids that are being created all over the country and so most Americans don’t even realize that it is happening. There is a lot of other sick stuff going on out there as well. Did you know that in many areas it is perfectly legal to create human clones for scientific research purposes? For example, LifeNews.com recently reported that in the state of Minnesota it is now perfectly legal “to use taxpayer dollars to create cloned human embryos“. Scientists claim that this is perfectly acceptable because they only allow the clones to live for a few days. There is some really twisted stuff going on in the scientific community. Scientists are now coming up with some very “unique” ways to expand the food supply. In fact, many of us may soon be eating “human gelatin”. According to an article in Science Daily, scientists are excited about the potential of putting “human-derived gelatin” into marshmallows, candy and other desserts…. Doesn’t that just sound so yummy? So exactly how would this “human gelatin” be made? The following is how that same Science Daily article describes the process…. To get around these difficulties, the scientists developed and demonstrated a method where human gelatin genes are inserted into a strain of yeast, which can produce gelatin with controllable features. Pretty soon we all may actually be eating “soylent green“. Look, if you don’t know much about genetic modification you really need to get educated because it is one of the greatest threats our planet is facing today. My recent article entitled “Genetic Modification Gone Wild: 10 Signs That Our World May Be Destined To Resemble A Really Bad Science Fiction Movie” is a great place to get started. The following are a few examples of genetic modification involving human DNA that are noted in that article…. *In China, scientists have inserted human genes into the DNA of dairy cow embryos. At this point, approximately 200 hybrid cows have been successfully produced. These cows can produce milk that is virtually identical to human breast milk. The scientists hope to have huge herds of these cows producing an alternative to human breast milk soon, and they hope to have this “milk” sold in global supermarkets within 3 years. *Scientists at Rockefeller University have injected human genes into mice. These “humanized mice” are being used to study the spread of the hepatitis C virus. *In Missouri, entities that are part pig and part human are being grown with the goal of providing organs for human transplants. Countries all over the world are doing this kind of research. Unless people start objecting, this “research” is going to keep spreading and it is going to keep becoming even more bizarre. Science is messing with the very building blocks of life. If we are not very careful, our children and our grandchildren will be living in a world where “man-made life” and “human/animal hybrid monsters” are running around all over the place. Sometimes it is difficult to convey the true threat posed by genetic modification with only words. Please take a few moments to watch the video posted below. It is put out by Infowars.com and it is entitled “Genetic Armageddon: Humanity’s Greatest Threat“….